You’ve purchased an investment property and get an unwelcome surprise – your rent isn’t as high as you’d been led to believe by the overzealous real estate agent. First thing’s first, when purchasing an investment property do your own research! While huge changes to rent are unlikely to be achieved inexpensively, there are some quick and easy things you can do to maximise your return that won’t cost you the earth. Even an extra $20 a week in rental income will give you $1,040 a year, or $31,200 over a 30 year mortgage period. Think of all the holidays… I mean sensible things you could do with this extra income. 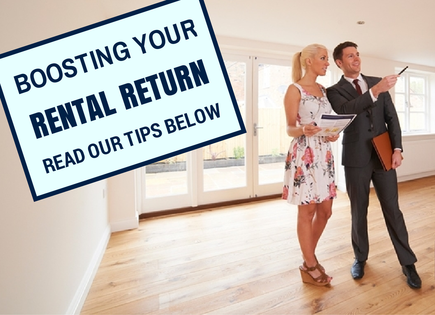 While all these things mightn’t suit your property and some will require a little expense at the outset, you’ll reap the rewards of rental return over the longer term. Bathroom renovations can cost the earth but there are ways to give a renovated look without the price tag (or the effort!). Painting over outdated or gaudy tiles with tile paint instantly gives a newly tiled look at a fraction of the price of re-tiling. Replacing old shower curtains, shower heads and/or fixtures can also inexpensively modernise a dated bathroom, boosting your rent by around $10-$20 per week. As the old adage goes, the kitchen is the heart of the home so make sure it’s a space that tenants will want to spend time in. Like bathrooms, kitchen renos aren’t cheap but, also like bathrooms, a splash of paint over tired cupboards and dated splashbacks combined with replacing old handles with modern shapes can fetch a further $10-$20 per week in rent. Internal laundries are a convenience desired by many renters, after all no one wants a neighbour stumbling across their underwear unawares! If you can make some space in a kitchen or bathroom to fit a washer/dryer and have some money to put towards plumbing and the white goods, you’ll increase your property’s value, appeal and rental return by at least $10 per week. Dank and dark rooms don’t appeal to anyone (except maybe vampires), so give all light fittings a thorough dust and clean, and replace dull light bulbs with new, brighter lights. Light and bright rooms are more inviting and create a better sense of space and openness. Ohhh how I long to be beside the seaside! If your property’s in or near to a popular holiday or weekender spot, consider whether you’d be better off furnishing your property and using it as a holiday let. Look on holiday rental sites to get an idea of rents, and speak to a property manager about their fees and average occupancy rates in the area. Just make sure you consider low-season dips and unoccupied time so you’re not caught out. A car space can be make or break for many renters, especially around busy, inner-city suburbs where street parking can be as rare as a rainbow on a sunny day. 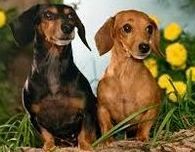 While adding a carport can cost a few thousand dollars, it is tax deductible, will add value to your property and should fetch you around $20 extra rent every week. Depending on the size and layout of your property, maximising space and converting an unnecessary dining room or second lounge area into another bedroom can reap huge rental return rewards up to $100 per week for (possibly) very little outlay. Agent’s fees for managing rental properties typically range from 4-7%. Providing you’re willing to put in the time and energy needed, you could make a significant cost saving by self-managing. This does come with some risk though, so make sure you know what you’re getting yourself into before deciding to go it alone. Tenants love storage, and easy additions like wardrobes in bedrooms will increase your property’s appeal and rental value. Budget friendly shops like IKEA and Bunnings have a wide range of affordable storage solutions that won’t cost you the earth, and can add $5-$10 per week to your rental income.